Contains stinky Valerian herb cats love! One of the closest attachments to natural prey you can get for your furkid! With the Interactive Wands, you can put life into the toy, so that the target at the end of the string can wiggle, creep, fly or dart around the room, or garden. Your cats’ speed and grace will amaze you as they dash around trying to capture the prey! 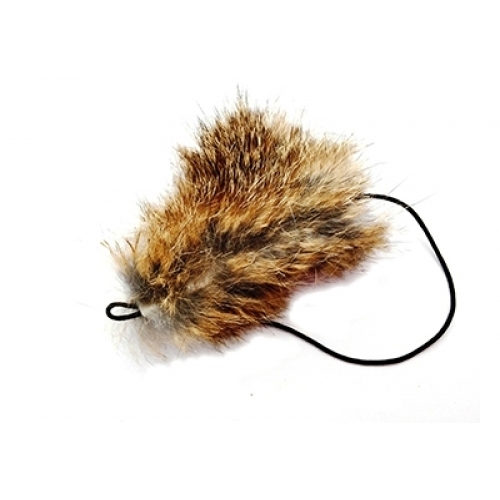 The Stinky Wild Hare Mouse Attachment is made from Wild Hare. 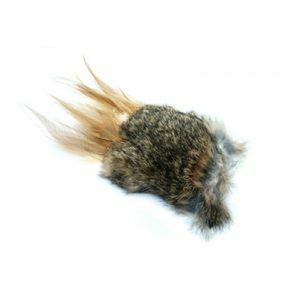 This is a more expensive product due to only using a by-product from Wild Hare’s from the UK and EU, living a natural, outdoor life protected under the Wildlife Act and restricted conservation culling seasons. Far better than the cheap rabbit fur toys from cruel factory intensive farms with no welfare protection and any fur from China. As this is a natural product colours will vary and include white, grey, brown, red brown in any combination. Approx 10 x 7 cm. Add a bit of variety to your Purrsuit, Da Bird or Frenzy rod toys with this fun attachment! 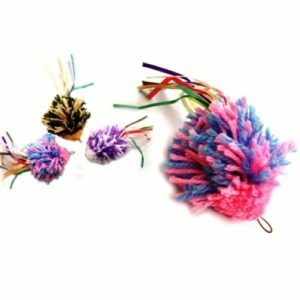 To complete a cat’s natural hunt, catch, kill, eat cycle, use the Purrs, Frenzy or DaBird wands and prey attachments as hunt/chase exercise toys and some real feathers for the kill instinct and cat treats for afterwards to complete the cycle.